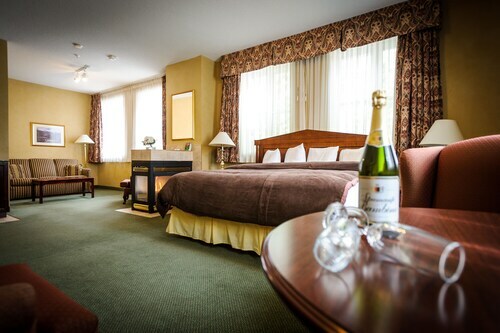 Situated in Lakefield, this romantic hotel is within a 10-minute walk of St. John the Baptist Anglican Church, Lakefield Marina, and Lakefield Park. Lakefield Lock is 0.5 mi (0.8 km) away. 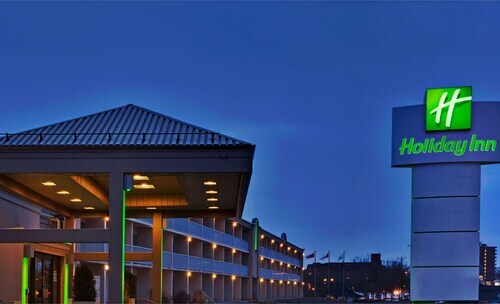 Located in the heart of Peterborough, this eco-friendly hotel is within a 10-minute walk of Art Gallery of Peterborough, Showplace Performance Centre, and Market Hall Performing Arts. Peterborough Memorial Centre and Hutchison House Museum are also within 1 mi (2 km). 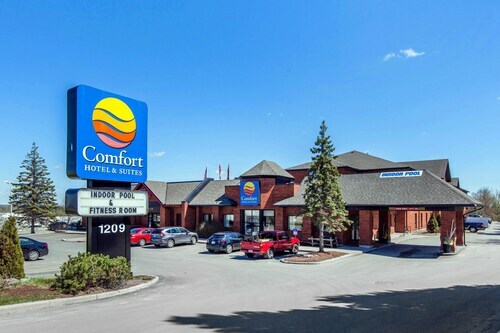 Situated in Peterborough, this golf hotel is within a 15-minute walk of Kawartha Golf and Country Club and Milltown Mini Golf – Family Fun Park. Lansdowne Place and Canadian Canoe Museum are also within 2 mi (3 km). Situated in Douro-Dummer, this property is within 6 mi (10 km) of Lakefield Park, Lakefield Marina, and St. John the Baptist Anglican Church. Selwyn Conservation Area and Lakefield Lock are also within 9 mi (15 km). 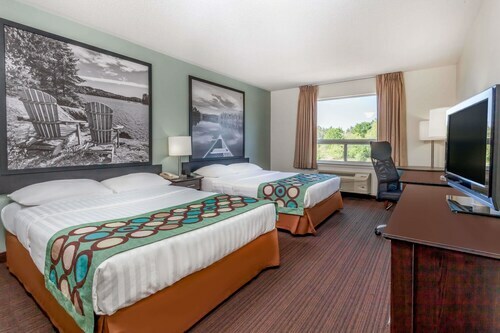 Situated on a river, this eco-friendly hotel is within 1 mi (2 km) of Peterborough Memorial Centre, Art Gallery of Peterborough, and Kawartha Artists' Gallery & Studio. Canadian Canoe Museum and Showplace Performance Centre are also within 2 mi (3 km).